I really cannot believe that the summer has almost come to an end. It seems as if school was just let out and I was planning all sorts of summer fun activities for my kids. Now, I am pondering over which places to buy their school uniforms from and how I am going to have to adjust my routine. Boy, am I going to miss the easy, breezy, summer! Honestly, these past 2 months have been wonderful for meal planning because our schedules are much more relaxed. With back to school season starting soon, I am already thinking about quick and easy meal plans I can come up with until we adjust to our tighter schedules. 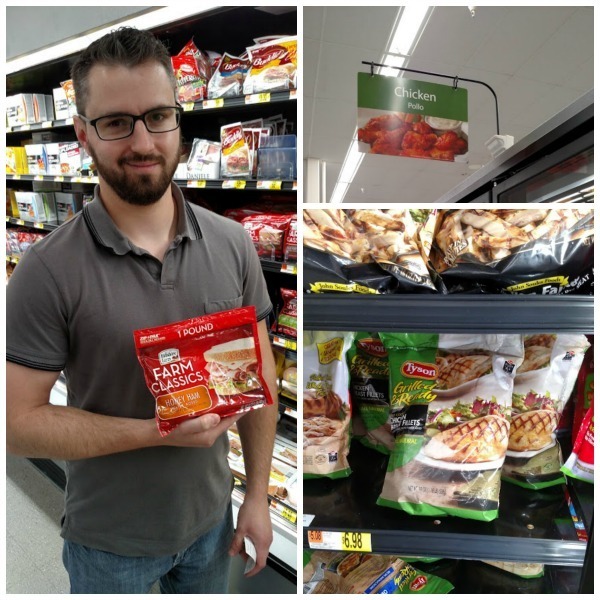 Like most parents, I can appreciate meal shortcuts like Tyson® Grilled & Ready® Chicken and Hillshire Farm® Farm Classics Lunchmeats. These staples available at Walmart are ideal for easy and quick meals and snacks once school starts back up. 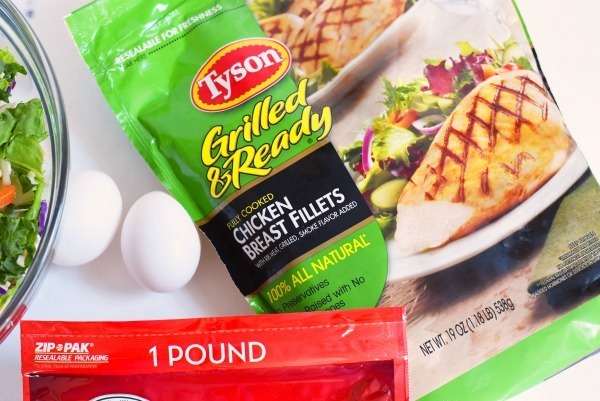 I will likely not have the time to grill my own chicken so products like Tyson® Grilled & Ready® Chicken are a lifesaver! 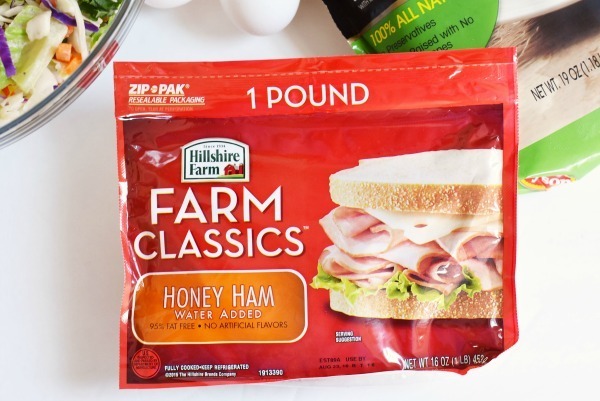 My kids are on a ham and cheese sandwich kick so the Hillshire Farm® Farm Classics Lunchmeats are perfect to always have on hand. 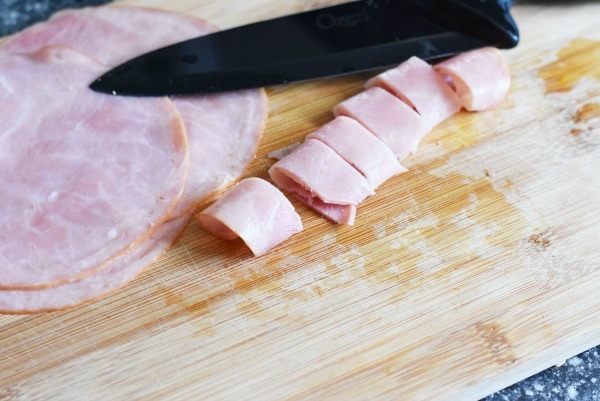 I love how fresh these lunchmeats are, and the fact that I can just grab and go without having to wait at the deli for what seems like hours. Since most of us can agree that we are on time crunches when our kids return to school, I wanted to create a fresh and easy dinner option that is loaded with shortcuts and kitchen hacks! 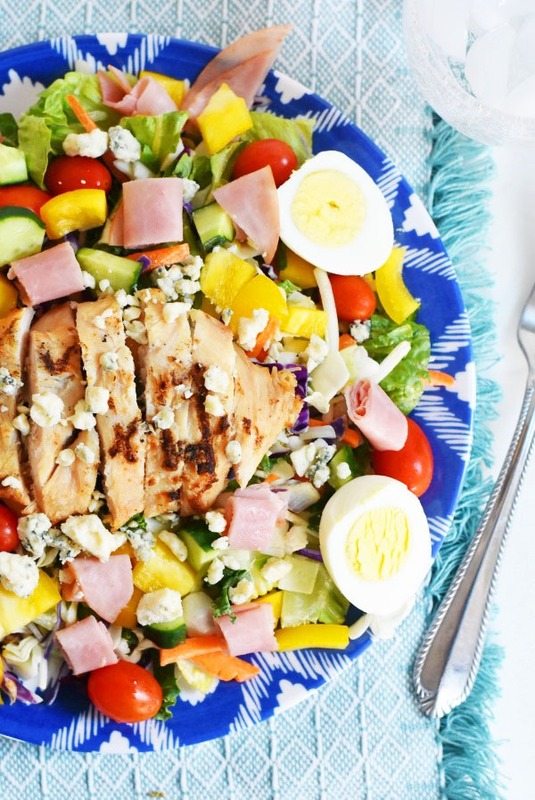 This Easy Grilled Chicken & Ham Cobb Salad is perfect for back to school because you can prep the ingredients ahead of time. To stay on track with nutritious eating during the back to school crunch I often boil a dozen of eggs at a time. Chopping salad vegetables and packing them into glass containers for the fridge is also a time saver. This allows me to always have access to meal components and healthy snacks. The Tyson® Grilled & Ready® Chicken fillets can be cooked in the microwave in under 5 minutes, and the lunch meat is easy peasy to enjoy. 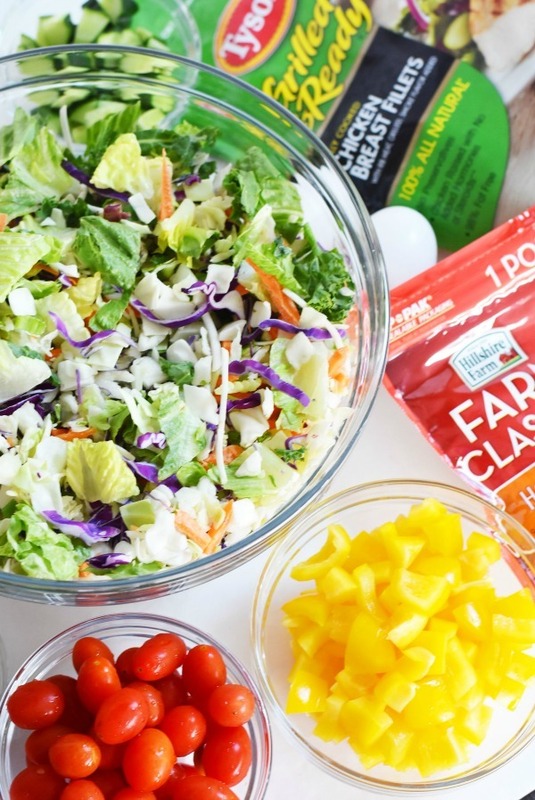 5 cups of chopped salad mix. I like to buy a few bags of pre-made mix at the market, but you can recreate it with a blend of romaine, red cabbage, beets, and chopped carrots. Chop veggies ahead of time. I like to store mine in glass containers with lids in the fridge. This makes it easier to prepare this meal in a pinch. 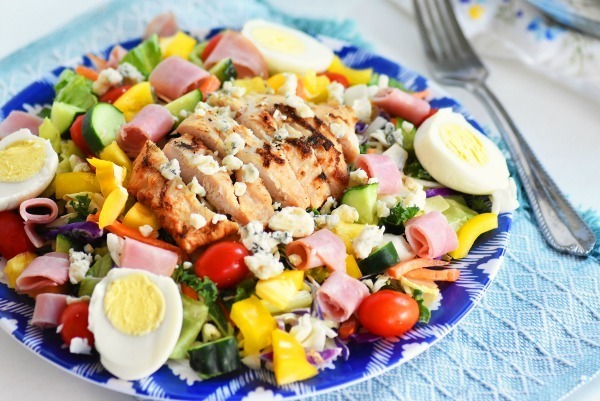 In a salad dish, combine your chopped veggies mix. 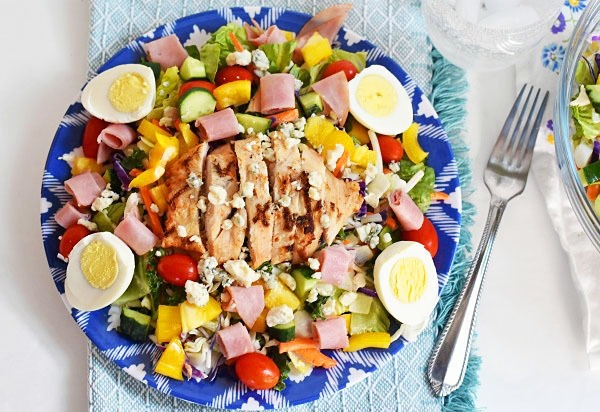 Serve each portion with a little bit of everything and lightly drizzle with your choice of dressing if preferred. 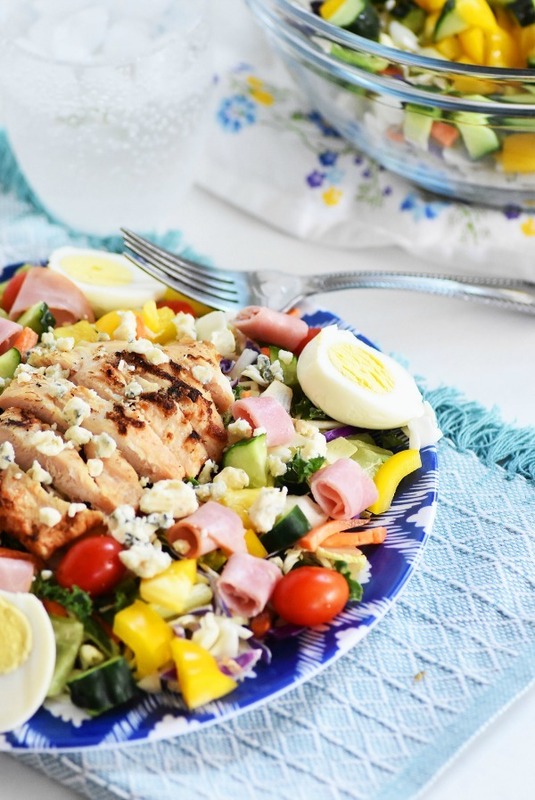 This Easy Grilled Chicken & Ham Cobb Salad is hearty, loaded with nutrition and easy to prepare when time is low! In fact, you can even eat it on the go! 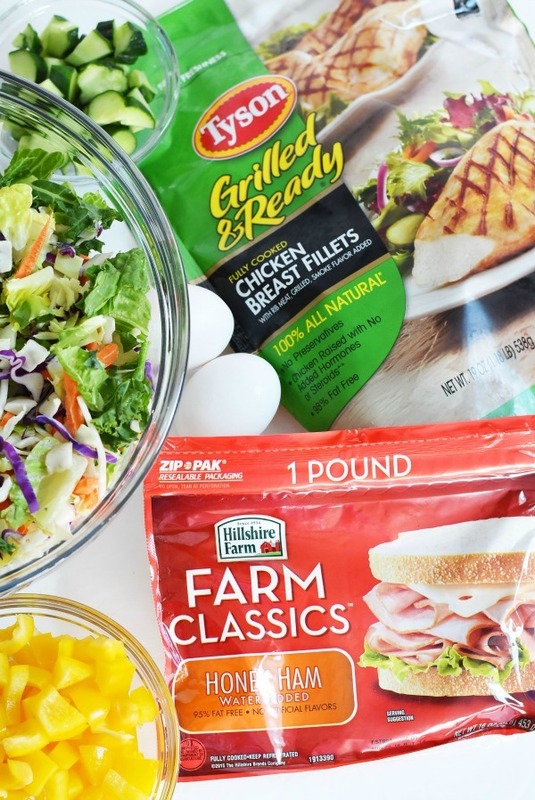 What are some simple and quick meals you could create with Tyson® & Hillshire Farms® products? EVERYTHING about this my husband would love. I loathe boiled eggs, so I have to leave that part off. Greens and more!